Ch. 21 - Electricity II. Electric Current (p.598-599) Circuit Potential Difference Current Resistance Ohms Law. 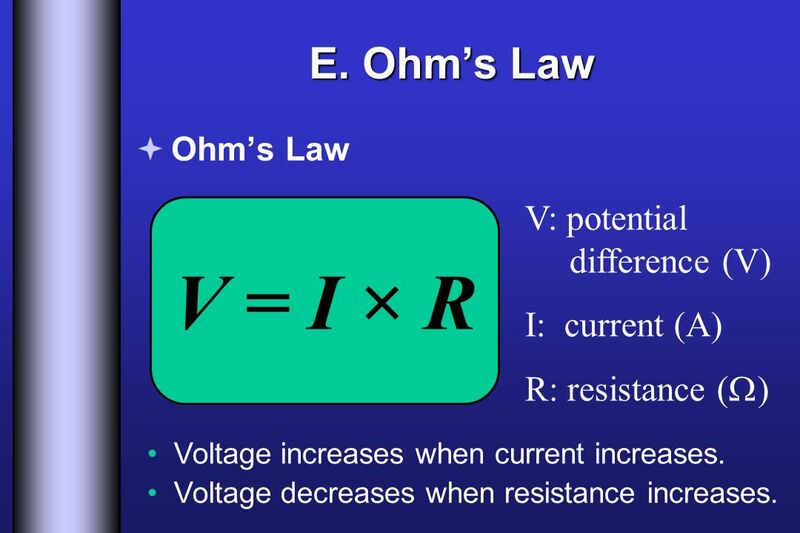 7 E. Ohms Law Ohms Law V = I × R V: potential difference (V) I: current (A) R: resistance ( ) Voltage increases when current increases. 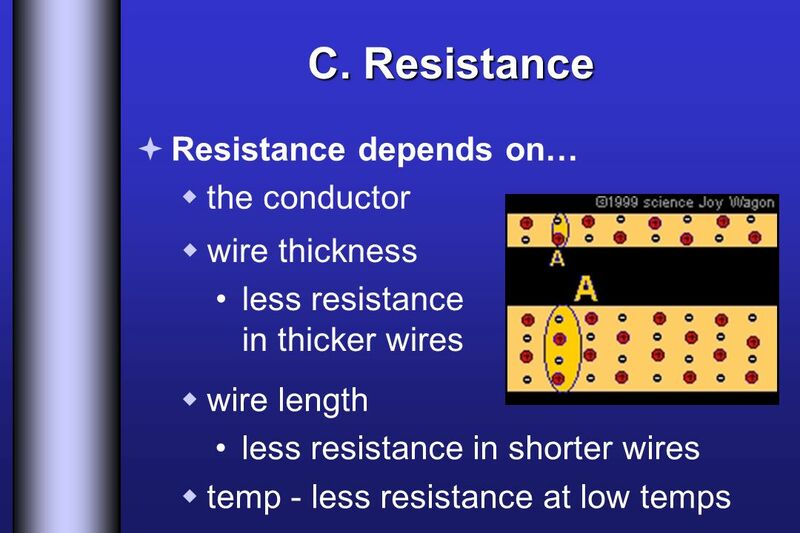 Voltage decreases when resistance increases. Download ppt "Ch. 21 - Electricity II. 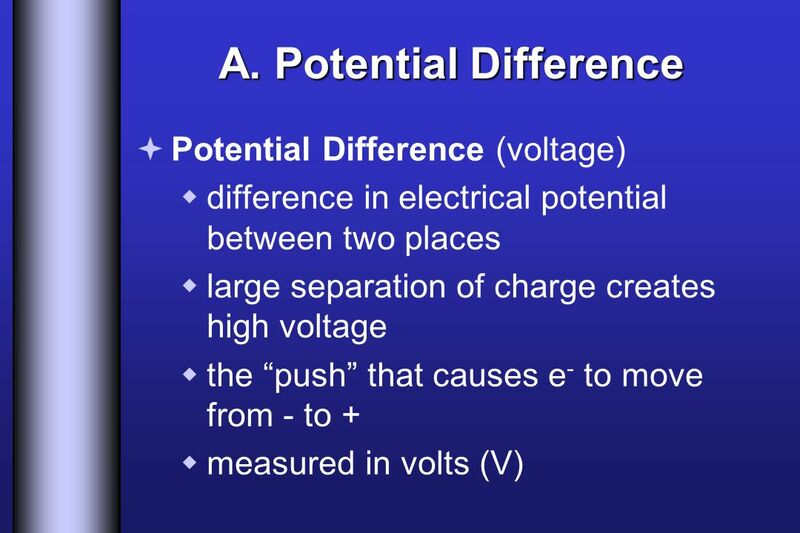 Electric Current (p.598-599) Circuit Potential Difference Current Resistance Ohms Law." Ch Electricity I. Electric Charge  Static Electricity  Conductors  Insulators  Electroscope. Chapter 19 Flow of Electricity Useful electricity requires moving electric charges You must do work to move a charged particle against an electric field. The amount of charge passing a point in a given time interval is. 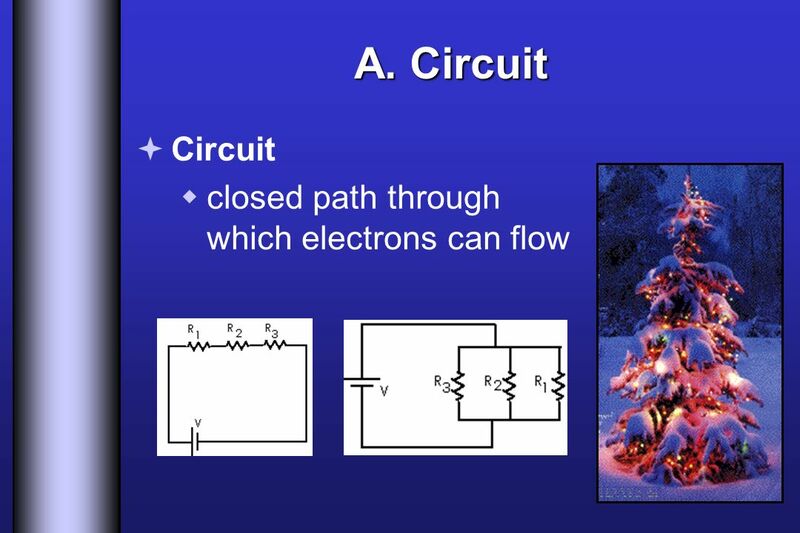 Bell Ringer R30 What do you think a circuit looks like if you would draw a picture? Include in picture: battery, wires, and a lightbulb. Series versus Parallel Circuits The Ultimate Battle! Electricity and Electrical Circuits. 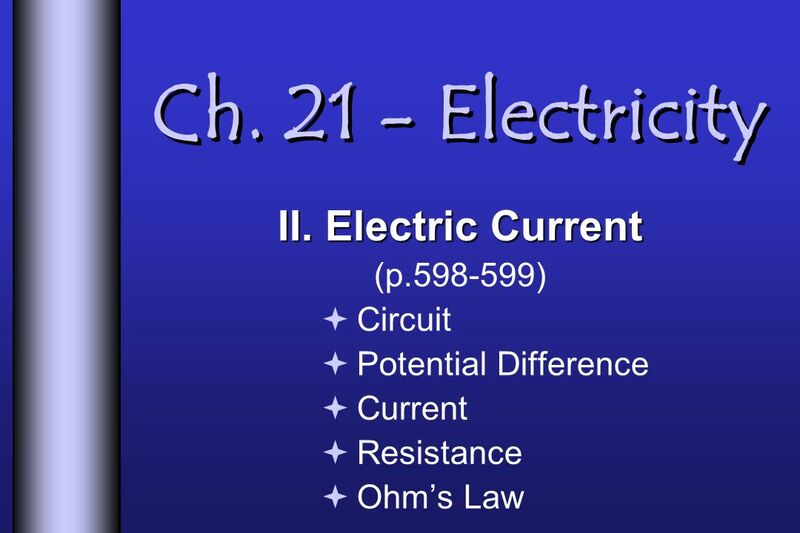 Chapter Sections O 1 - Electrical Circuits O 2 - Current and Voltage O 3 - Resistance and Ohm’s Law. Do Now What work is required to move 7 coulombs of charge through a potential difference of 3 volts? 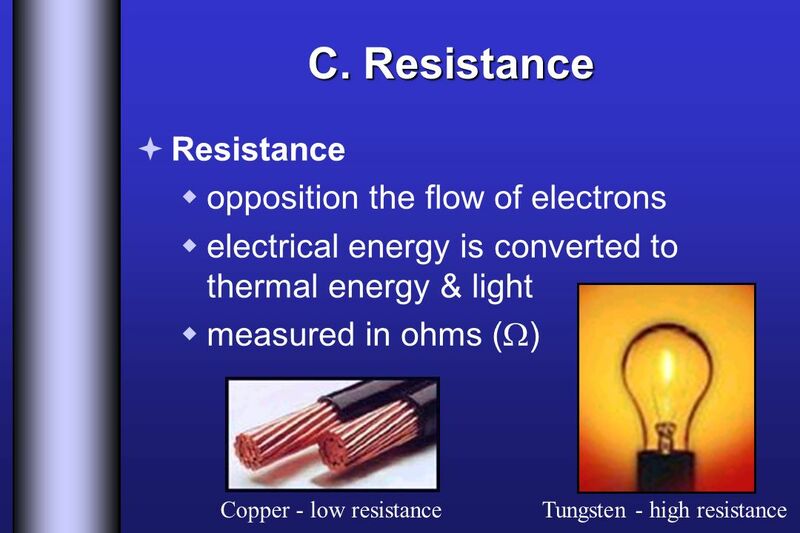 Electrical Resistance Electrons like any other moving body follow the path of least resistance. Truemper 10/24/2011. Electricity Electric Charge Electric Charge Static Electricity  Conductors  Insulators  Electroscope  Transferring Charge. 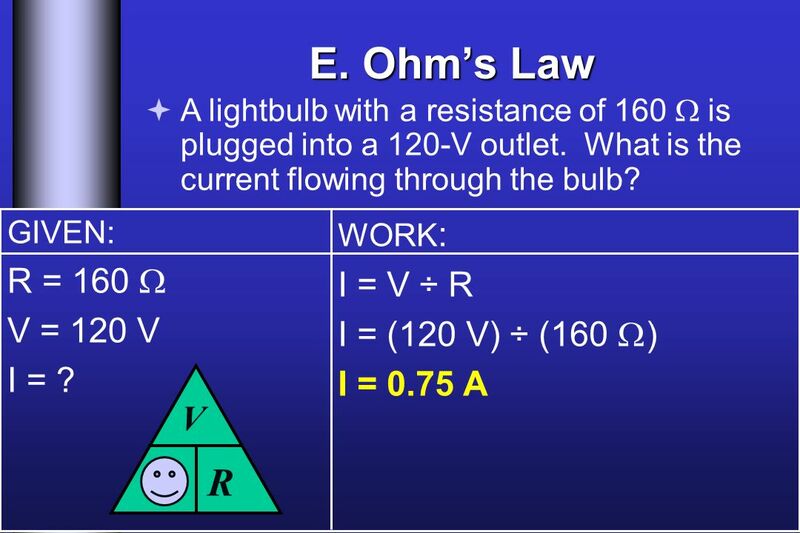 Ohm’s Law Notes JAN 7. 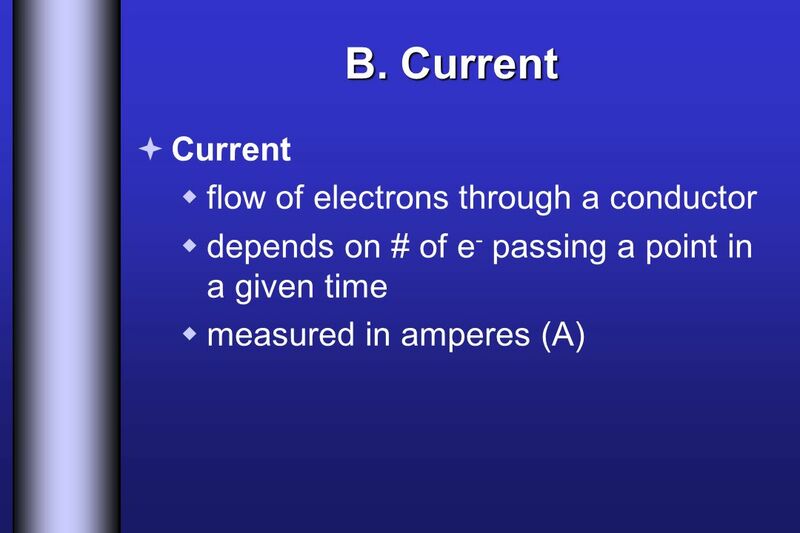 Vocabulary current : how quickly the electrons are flowing through the circuit; units: amperes (A) voltage : the electric potential.